Tenant guarantor loans mean that your guarantor can be a tenant and doesn’t have to be a homeowner to make you eligible for a guarantor loan. Also known as non-homeowner guarantor loans, the lenders featured on our site will consider all types of guarantors and credit scores. Our site is 100% free to use and by clicking on the lender of your choice, you will be taken to their website where you can apply. The application typically takes around 5 minutes to complete and successful applicants will receive funds within 24 to 48 hours. We are a comparison website which is authorised and regulated by the FCA as a credit broker. Amigo Loans is the largest guarantor loan lender in the UK. The Bournemouth-based company has approved over 200,000 loans since they were founded in 2005. Loan Amount£500 to £10,000Representative APR49.9% (£500-£10,000)Loan Term1-5 years Representative Example: The Representative APR is 49.9% APR (variable) so if you borrow £4,000 over 3 years at a rate of 49.9% p.a (variable) you will repay £195.16 per month & £7,025.76 in total. Bamboo offer guarantor loans and unsecured loans from £1,000 to £8,000 and repaid over 1 to 5 years. Loan Amount£1,000 to £8,000Representative APR49.7% APR (£1,000 to £8,000)Loan Term1 year to 5 years Representative Example: The representative APR is 49.7% APR (fixed), so if you borrow £2,600 over 3 years at a rate of 41% p.a. (fixed) you will repay £126.61 per month & £4,557.89 in total. MASA loans is part of Buddy Loans and offers guarantor loans from £1,000 to £7,500 repaid in monthly instalments over 1 to 5 years. No admin or upfront fees for applying. Loan Amount£1,000 to £7,500Representative APR49.7% (for loans £1,000 to £7,500)Loan Term1 year to 5 years Representative Example: Borrow £7,500 over a period of 36 months (3 years), repaying at a rate of £365.48 each month, the total repayment amount including admin fees and interest, will be £13157.28. Fixed interest rate of 31.9% and a Representative APR of 49.7%. SUCO are a leading guarantor lender specialising in approving loans for customers with bad credit. Borrow up to £15,000 with no upfront fees. Loan Amount£1,000 to £15,000Representative APR39.9% APR (for loans £8,000 - £15,000)Loan Term4 to 7 years Representative Example: The representative APR is 39.9% APR (fixed) so if you borrow £8,000 over 5 years at a rate of 39.9% p.a. (fixed) you will repay £279.20 per month & £16,752.00 in total. Talk Loans is a specialist broker helping customers find the best guarantor loans to suit their requirements. With a close relationship to the UK's leading providers, they prefer to 'talk' to each applicant and guide them through the journey, which Loan Amount£500 to £15,000Representative APR39.9% to 49.7% Loan Term12 months to 60 months Representative Example: Borrow £4,000 and pay back your loan over 36 months. Monthly payments of £194.78. Total amount repayable is £7,012.08. Interest payable is £3,012.08. APR of 49.7%. Interest rate of 41%. Fixed rate. 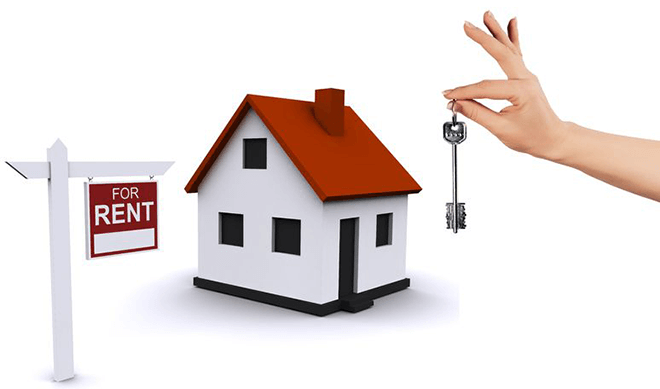 If you are looking for a tenant guarantor loan, its because the person who you want to be your guarantor is a tenant and they are currently renting a property or even living at home. The reason why this makes a difference to your application is because traditionally guarantor loan lenders would be more likely to accept an application where the guarantor is a homeowner (a person who owns a property, with or without a mortgage). 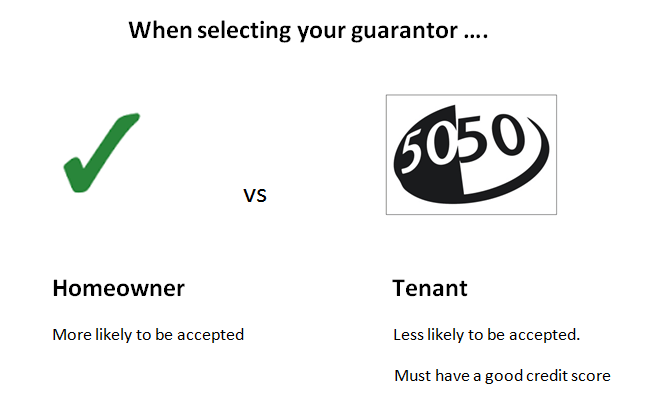 Why do guarantor lenders want to lend to homeowners? The idea behind this is that homeowners are seen as a good lending prospect since they have had to demonstrate a history of good credit in order to get a mortgage. Also, the thinking is that if the borrower’s payment does not materialise, the guarantor is not likely to leave town or go missing if they have their own property. Whilst lenders might be looking at ways to recover the money they have lent out, a homeowner can always sell their estate if they desperately need to raise funds or they can always get a second mortgage. So in short, if you are applying and your guarantor is a homeowner, you are more likely to get accepted. typically have better credit ratings, in order to purchase a property in the first place. have a property and are less like to leave or go awol if there is a payment due. So if a lender is trying to recover funds, they are more likely to get hold of the guarantor if they are a homeowner. If the guarantor needs to raise funds to repay their friend’s loan, they can sell their house, move out and charge rent to a tenant or get an another mortgage to access more finance. In addition, when the loan is funded, it always goes to the guarantor first for a two week cooling period – so they can decide if they want to pass the loan onto the borrower or change their mind. But for the lender, they have peace of mind knowing that the entire loan sum which could be thousands of pounds, is going to a safe pair of hands with a good credit score. If you’re not sure whether you think the tenant you know will be a good guarantor, you can ask them to follow this link to check your credit score for free. More recently, guarantor loans for tenants have been more common as lenders are willing to lend to individuals who have guarantors that are tenants. Its simple really. A tenant may not be a bad lending proposition by any means, simply because they haven’t taken the leap to buy a property, doesn’t mean that they can’t be a reliable and trustworthy person. They may also have a strong credit history of repaying credit cards, bills and loans on time which will strengthen their case. Also, just because your guarantor is a homeowner doesn’t mean that they are going to be accepted. Any person who owns a home can have payment difficulties. They could be behind on their mortgage repayments or have debt elsewhere. Or perhaps they inherited their current property or it was purchased by a family member and given to them. It doesn’t necessarily mean that they are a better guarantor and our lenders acknowledge this which is why they are willing to lend to tenants. Credit checks are being used more and more as the checks run by guarantor lenders. Working with credit reference agencies such as Experian and CallCredit, the lender is able to see a credit score which is formulated based on how well they have repaid credit in the past. If the guarantor who is a tenant has a credit score which meets the lender’s criteria, it will increase the chances of the loan being approved. Please follow this link for further information on tenants, credit checks and guarantors. Guarantor loans non homeowner – what does this mean? If you are thinking about getting a non homeowner as your guarantor, this obviously refers to tenants but also anyone who is living with friends and family (as they would classify as a non-homeowner). For other kinds of residence, again, it will depend largely on the individual circumstances of that guarantor. If the proposed guarantor is living with friends or their family, the lender will still need to take their credit rating into consideration when deciding to grant the borrower a loan. There are no ways to beat the system and one shouldn’t just choose a guarantor for the sake of it. Having a good guarantor is key to approval if you as the borrower has bad credit. Take your time to find a good guarantor before applying. The approval rate may obviously be different for repeat customers. Those individuals that have already borrowed from the specific guarantor lenders and have successfully repaid on a number of occasions will likely be granted more leniency if they have a have a guarantor who is a non homeowner. Similarly, if the borrower actually has a very strong credit rating, it won’t be that necessary for them to have a guarantor who has a good credit rating too. Instead, the borrower with good credit could be approved for a loan despite having a guarantor who is a non homeowner. We can take into consideration that a guarantor loan improves your credit score so if the individual has repaid a number of loans on time, they will have a better credit score and may not require a guarantor with a profile as strong. There is also the amount of the loan because a borrower looking for a large amount will likely need to have a better quality guarantor compared to someone who is looking to borrow the minimum amount of £1,000. At GLC we feature a number of different lenders in the UK that offer tenant guarantor loans and guarantor loans for non homeowners. We offer a completely free service whereby there are no hidden fees taken from your account. Simply compare the rates and click on the lender that you would like to apply with. You will be taken to the lender’s online application form which takes a few minutes to be completed. Further to some additional checks involving you and your guarantor, you will get a decision very quickly and if successful, funds can be transferred to your account within a day or two. We take a introductory commission from the lenders to ensure that the site is free to use for all borrowers and will always be free. You will notice that our site is also on a secure server as it starts with https:// and this acts as extra encryption to keep your details as safe as possible. So you can be rest assured that any details provided will be held responsibly.